38. Nike Dunk High Pro SB "Lucky"
The creativity behind the Dunk SB concept sneakers has always been king, and with the Luckys they kept the line going strong. You know the deal if you’ve shot dice with your boys at a party — need that lucky number 7. 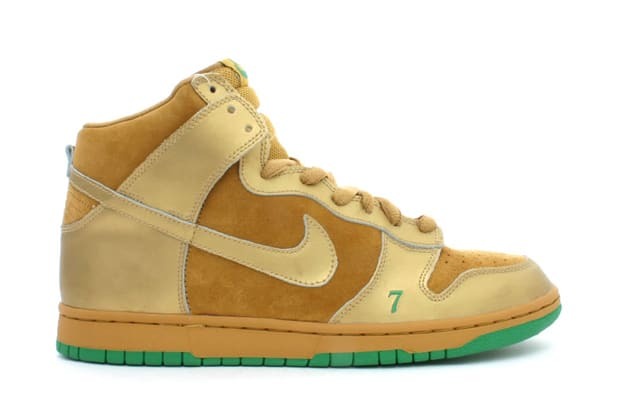 Look the part, play the part with the gold and green kicks, and if you somehow managed to lock down a pair for your sneaker rotation you WERE lucky.